Thanks in advance for taking a look at my profile - I'm pretty new at the MBA admissions world and am just looking for some advice as to what range of schools I should plan to apply to for Round 1, as well as any pointers you might give for how to address some of my weaknesses. Hi Split23. Happy to look at your profile below. I imagine my GPA will be a big stumbling block, as I was below the mean at my university (though I suppose the hard science degree might help a bit). I don't have a great way of explaining it away unfortunately, though I do think my strong job performance and recommendations will get across that I can handle the work. 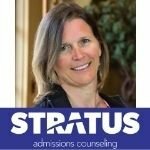 I'm not that concerned about your GPA- a 3.25 is in no way "bad" - it is just that it is a bit lower than the average at most top programs- however the one thing that can "soothe" this is a high GMAT and you have that. So don't call too much attention to the GPA by feeling you have to apologize for it.I did a lot better on the GMAT than I expected too (though I studied for like 6 months). I'm really just looking to see what range of schools I should apply to - with my GPA are Harvard/Stanford/Wharton out of the question or should I be a bit less pessimistic? Be less pessimistic! Really- you could get into a school like Stanford if you can weave together the story about making progress in delivering efficienct and affordable healthcare is what you care about most. It will be how compelling you are in why MBA and why this school. And we can help with this .... it is what we do! So we'd love to do a free consult with you to help you see how adcom will look at your profile. We have former adcoms on our staff who can give you some great insight.